The one-time Sunday Game hurling analyst took a break from TV duties as he recovered from illness. Ger Loughnane: previewing league decider. 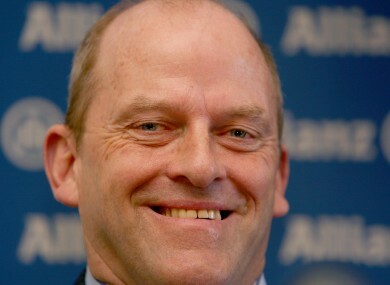 FORMER ALL-IRELAND winning manager Ger Loughnane will return to our screens tomorrow evening. The one-time Sunday Game hurling analyst took a break from TV duties as he recovered from a battle with cancer. But GAA fans will be glad to see the Feakle man on TG4′s Seo Spoirt tomorrow night (8.30pm). Loughnane won two All-Irelands with his native Clare in the 1990s before taking the reins in Galway more recently. Email “Ger Loughnane to make TV comeback on TG4 tomorrow night ”. Feedback on “Ger Loughnane to make TV comeback on TG4 tomorrow night ”.